This everyday jacket couples a classic silhouette from one of our alpine jackets with a recycled fabric blend that goes well with any urban endeavor. 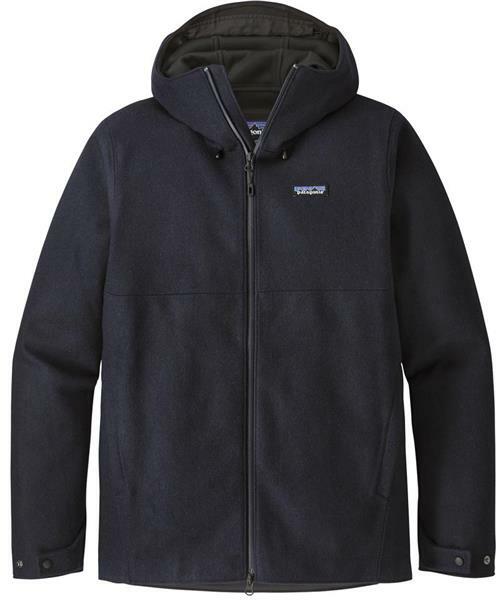 Its bonded fabric exterior is made from recycled wool and recycled polyester treated with a DWR (durable water repellent) finish to stay warm, block moisture and dry quickly. The interior is recycled polyester jersey for excellent moisture and warmth management. An adjustable hood adds extra weather protection, keeping your heat close when you’re waiting for the bus. The jacket’s water-resistant, PU-coated front zipper is backed with an interior storm flap to seal out drafts; a combination zipper-garage and chin guard eliminates chafing. Zippered handwarmer pockets secure essentials. Adjustable drawcord hem and self-fabric snapped cuff closures hoard warmth.